No factor is more critical to a hotel’s reputation and market position than its ability to deliver a unique and satisfying guest experience. And—you only get one chance to make that all-important first impression. This is especially true in markets like China’s where aggressive promotion of internal tourism is driving rapid and unprecedented growth in the hospitality industry. In response to China’s active promotion of domestic travel, Marriott is working hard to meet the goals of a five-year expansion plan that includes opening 1,000 new properties in greater China, and they are working with Schneider Electric to ensure that those hotels meet both guests’ expectations and the brand’s high standards for energy efficiency. The Renaissance Suzhou Wujiang Hotel provided Marriott and Schneider Electric with the perfect opportunity to collaborate on designing a solution that helped this leading hotel brand achieve both their operational and energy efficiency goals while continuing to provide the exceptional experience their guests have come to expect. The Renaissance Suzhou Wujiang Hotel, located at the borders of Jiangsu, Zhejiang, and Shanghai in China, is the only internationally branded hotel in the area. It’s a destination that appeals to a wide range of guests — from families to business travelers — and offers each of them a uniquely local experience that blends the convenience of modern design and amenities with the charm and grandeur of China’s rich cultural legacy. Local attractions include dozens of beautiful and historically significant bridges, gardens, pavilions, and canals. The area is also home to many important historical landmarks like the Xiancan Temple, which was built to honor the legendary empress Leizu, wife of the Yellow Emperor, who is said to have discovered silkworms and eventually invented the first silk loom in the 27th century BC. Marriott had several ambitious goals for this hotel, each one serving a different brand value. They needed an energy and lighting solution that could help them create and manage a unique and inspired guest experience, maximize energy efficiency, and also deliver greater operational flexibility and control. Schneider Electric’s IoT-enabled, open and interoperable EcoStruxureTM architecture and technology platform — including a building management system (BMS), lighting control system, and electrical distribution system — was able to provide everything Marriott needed to reach their brand and operational goals. With seamless integration and smart, the EcoStruxure solution gave the Renaissance Suzhou Wujiang Hotel’s management team and operational staff all the automation and remote control required to easily and consistently create beautiful and energy efficient environments throughout the hotel, including function spaces and unique common areas. The early-stage collaboration between Marriott and Schneider Electric delivered strong results in a variety of areas. 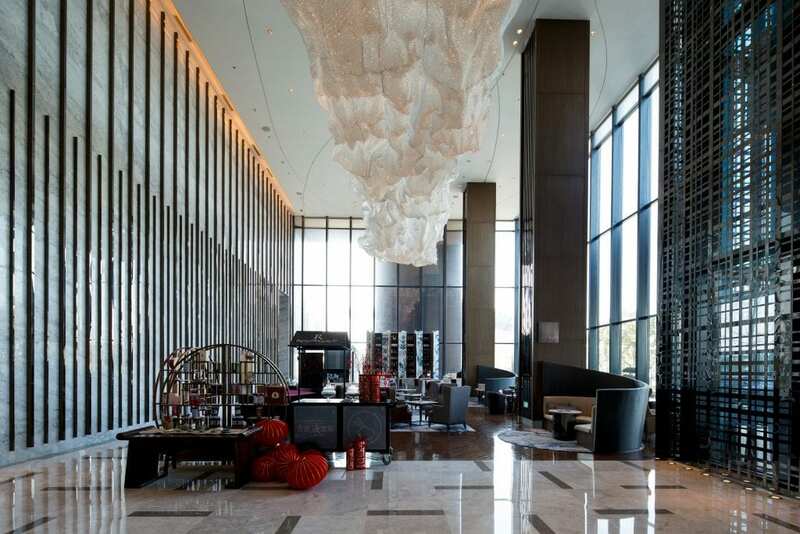 As a result of the project, the Renaissance Suzhou Wujiang Hotel realized a substantial 10 – 15% overall energy savings. In addition, the operational team gained critical visibility into energy consumption and was able to centralize all their monitoring and control systems, which made their team more effective and efficient. To learn more about Schneider Electric helped Marriott exceed their operational and energy efficiency goals and create exceptional guest experiences, read the full Renaissance Suzhou Wujiang case study, watch the video, or explore Schneider Electric’s full portfolio of hotel solutions.